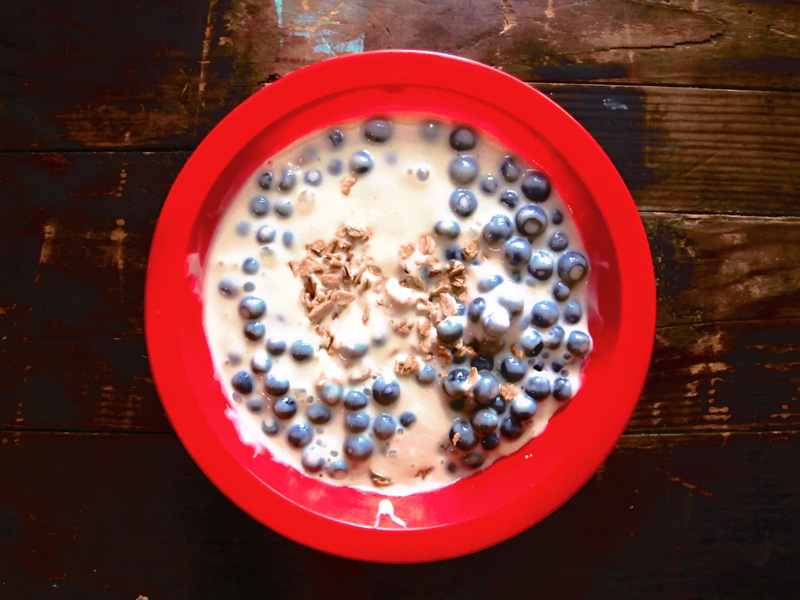 Editor’s Note: We met Jenni at Juicy 4 You vegetarian restaurant in Chiang Mai, Thailand. Not only has Jenni been a vegan for over 20 years, but she also writes about food. She is from Finland but enjoys spending most of her time abroad (Thailand in particular) and has been writing a vegan travel blog in Finnish for over 2.5 years. 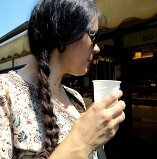 She has recently begun a vegan blog in English (great news for us!) about the vegan food she experiences while traveling. Her aim is to share veganism with the world! Finland is a remote country in northern Europe between Sweden and Russia. In the winter (from November to March) it is sensible to travel to Finland only if you go to Lapland for skiing or staying in the bigger cities of Helsinki, Turku or Tampere. Otherwise streets feel too empty and the weather is too cold (usually from zero Celsius to -20) and it is uncomfortable to stay outside. Summertime, on the other hand, is completely different. The best months to travel are from June to September. In July and August it may even get as hot as +30 degrees Celsius. Summer is full of festivals and the Finns seem to be much friendlier than in the cold temperatures of winter. Traditional Finnish dishes are almost never vegan, because the non-meat dishes (pastries, casseroles) usually contain at least eggs, milk, cream or butter. That is unfortunately why a vegan tourist seldom gets to taste the traditional dishes. But it is very easy to prepare these dishes using vegan alternatives like soy milk or just leaving some ingredients out. Traditional Finnish food is very bland. The taste comes from salt, fat and the mild flavours of the ingredients. It is as bit weird that many traditional dishes contain rice which does not grow in Finland. The reason must be that these rice dishes were served only in special occasions like Christmas. For daily cooking potatoes were used in place of rice in those same dishes. Potatoes are still very popular in every day cooking in Finland, but so are rice and pasta. The best dishes come from the North Karelia region in Eastern Finland which has a strong Russian influence. 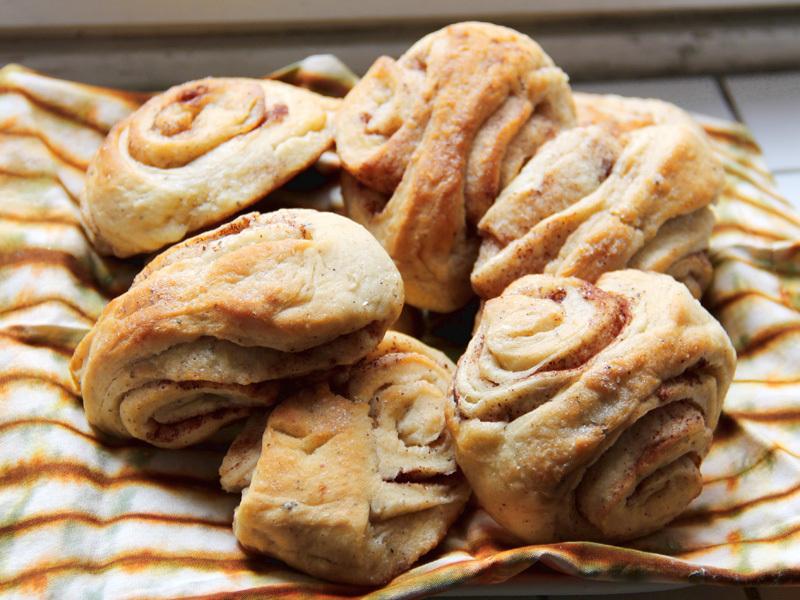 There are many varieties of pastries that are made mostly of rye dough and are filled with rice porridge. These are called Karelian pirogs. It is traditional to eat casseroles made of turnip, potato or carrots at Christmas time. 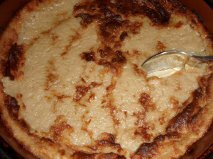 These are traditionally prepared with lots of butter and heavy milk, but it is just as easy and tasty to make them with margarine and soy milk. The Finnish potato casserole is sweet because you add wheat flour to mashed potatoes and miraculously it will become more sweet after you let it sit for a few hours or overnight. The most traditional way to eat milk-cap mushrooms is preserving them in salt. 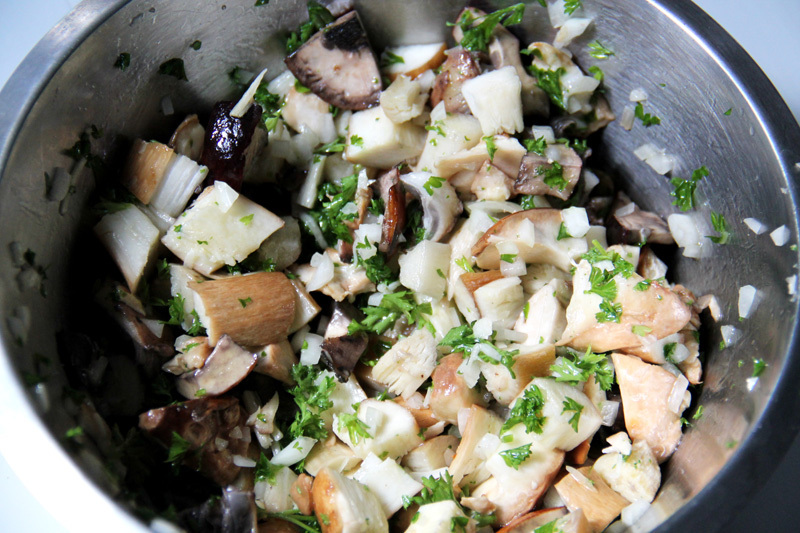 You simply chop these mushrooms and add some onions. You may eat it as a simple side dish or you can add some soy yoghurt instead of sour cream. Milk-cap mushrooms are also used for making a sauce that you eat with potatoes: chop the mushrooms, fry them, fry with onions and minced textured soy protein and prepare a sauce with flour and water or soymilk (same way as bechamel sauce). Eating boiled potatoes with different sauces is the most common every day food in Finland. Vegan living in Finland has changed so much during my 20 years as a vegan. First it seemed to be only activists and some health and raw food oriented grandmamas who were vegan. Nowadays, although the word “vegan” appears in many magazines and being vegan no longer carries the stigma of a weirdo, people still sometimes confuse veganism with vegetarianism. Personally, I think being a vegan is no problem at all. I would go to Thai, Chinese, Turkish and Nepali restaurants anyway so I don´t mind much that other restaurants don´t have a good, if any, selection of vegan dishes. And there are some vegetarian restaurants too that I can visit, that have good vegan menu options. I would not recommend, however, going to restaurants in Finland that don´t have vegan dishes on their menu because you may get a non-tasty stripped version of some vegetarian dish that originally would have included cheese. You may find vegan substitutes to almost any animal product in most supermarkets. Most cakes and other baked goods contain milk and eggs with the exception of bread, which is usually vegan. In general, when visiting Finland, it is easiest to stick to Asian restaurants, which exist even in the smallest of cities. Finland is an expensive country so budget travellers should try to buy, for example, fruits or bread and spreads from supermarkets to save money. Eating sandwiches is also a very Finnish way to dine. 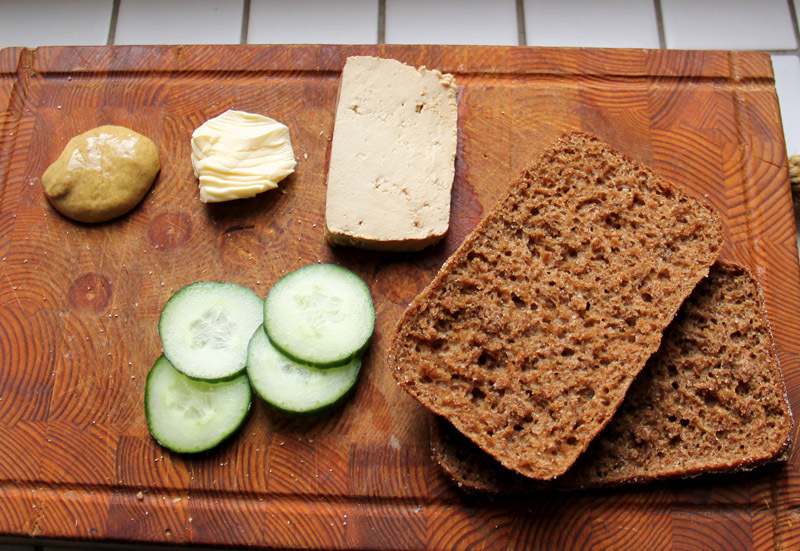 Most Finns eat rye bread in the morning (English toasts are not generally preferred) and may even eat bread with toppings for either lunch or dinner. Finnish people are good in speaking English so it is the best to simply ask if you want to make sure that something is vegan or if they could make a special vegan dish for you. Finnish cuisine is not known worldwide (though I think Carelian pirogs should be on sale everywhere in the world!). The most popular reason for visiting Finland is the sublime nature with very quiet and peaceful forests throughout the country, even near the capital city of Helsinki. It’s amazing how the nature that is covered with snow in the winter seems to bloom overnight, making the forest lush again. No matter what season you choose to visit Finland, be sure to try some of our wonderful vegan dishes. Thanks for the information, it’s good to know about the vegan style there. The pirogs sound good! The Carelian piroqs are the best 🙂 I believe the food the Finnish is quite international nowadays, but still there are these typical dishes we like to eat. The bilberries are the best when they are picked straight from the forest. Anyone can go to any forest (as long as you don´t go to anyone´s backyard) and pick them, so I do recommend visiting Finland in August and hike a bit somewhere. 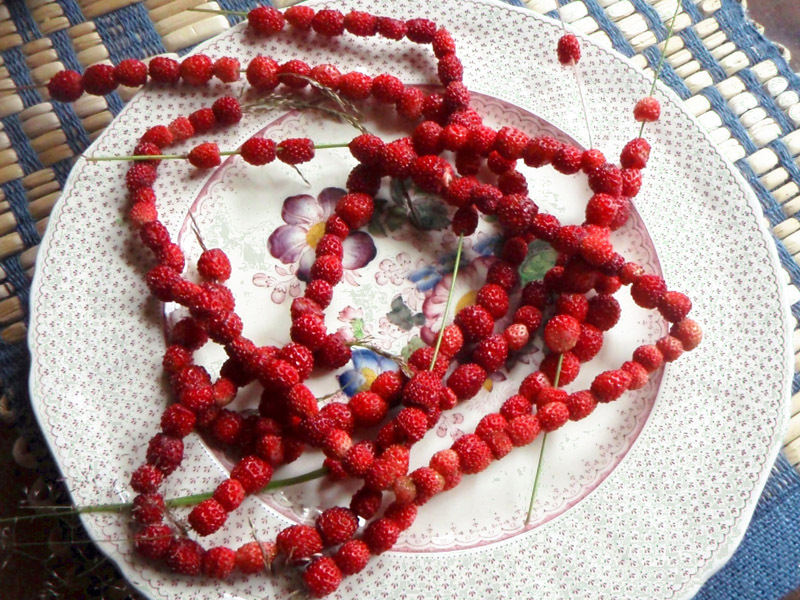 Those tiny strawberries are wild, you can sometimes find them especially by sandy roads in more quiet areas. There are also strawberry farms and even at my parent´s house we grow them. They are bigger, “normal” strawberries, but they get so flavourful, maybe because of the long hours of sunlight in the summers. The peak time for them is July. To me finding some special vegan food is very much a part of the fun when travelling! Sure it is usually easy to find some basic vegan dishes, but for example finding seitan sausages in a Thai supermarket, lupin seeds in Italy and all new and weird kinds of vegetables, fruits and protein sources is so much fun! Ooh I think lots of those dishes look great! Especially the mushroom salad and the yogurt with bilberries! And I could totally get behind eating rye bread with various toppings for many meals. It’s a shame Finland is so expensive and cold much of the year! Hi, the wild mushrooms really are great and there are so many different kinds. I´m a big fan of picking the from the forest. Season for most of the wild mushrooms is in August-October, but there are some that pop up from the ground in the spring too (April-May). Sure you need to know your mushrooms, that which ones are edible. Yes, I agree that the coldness and expensiveness of Finland is such a shame. That´s why I have decided to stay away from there for most of the time. I just visit there in the summers. All of those dishes look incredible. Those bilberries looked especially wonderful. I think it’s great that you included the ingredient translations as well. Thank you so much for sharing!